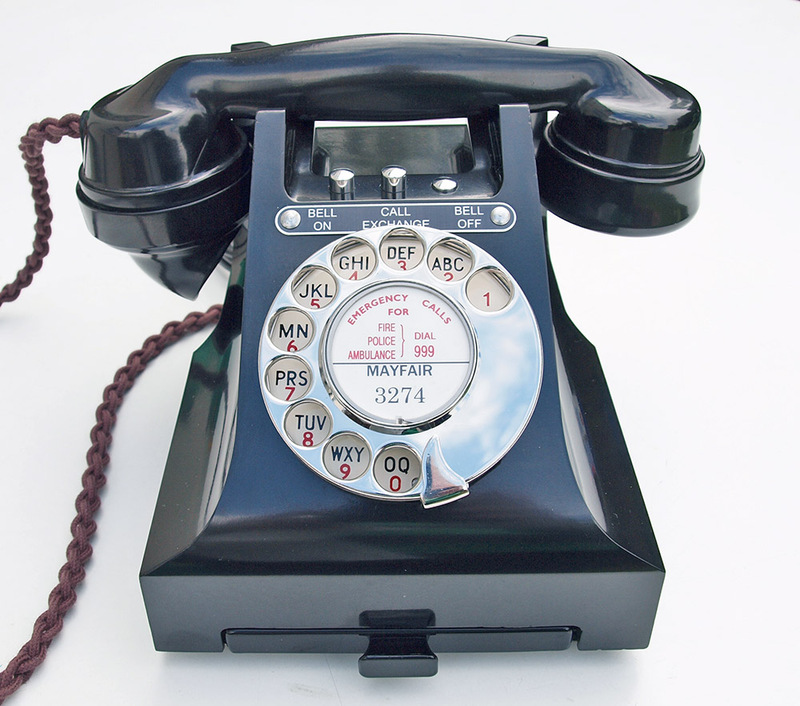 This is a beautiful sought after three button Bell On Bell Off Call Exchange model. As you can see this is a wonderful example and has been stripped down and re built after each part has been cleaned and polished. 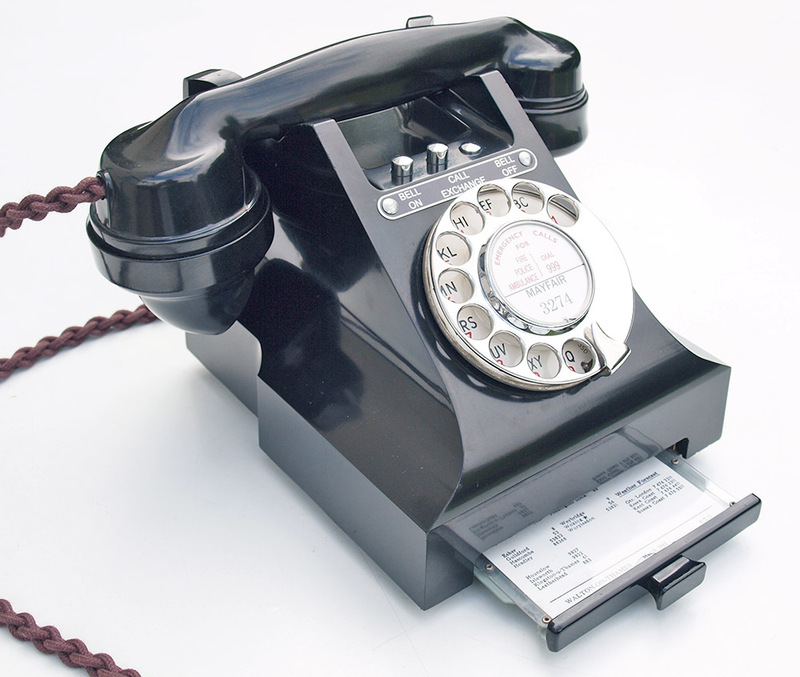 The handset is marked 1949. It has a GPO Alpha numeric dial face. The dial model is a GPO No10. 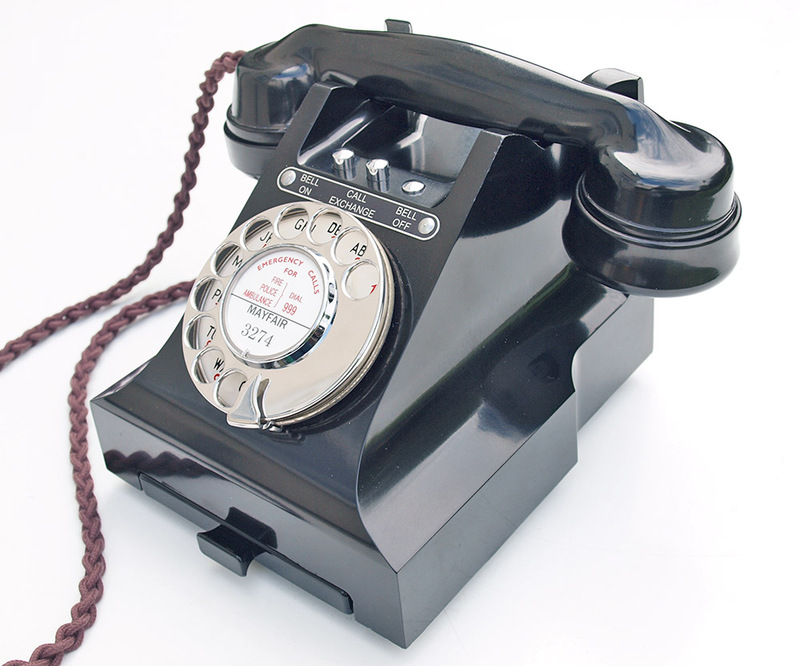 I have fitted a very best quality hand plaited all British manufactured braided handset cord and a GPO specification round plastic line in cord with a UK telephone plug socket. I have fitted it with an electronic microphone to bring it up to modern standards of speech quality. Please note that these are genuine GPO telephones from the 1950s and although I restore to the highest of standards they have been in use for over 60 years and can never be described as mint. 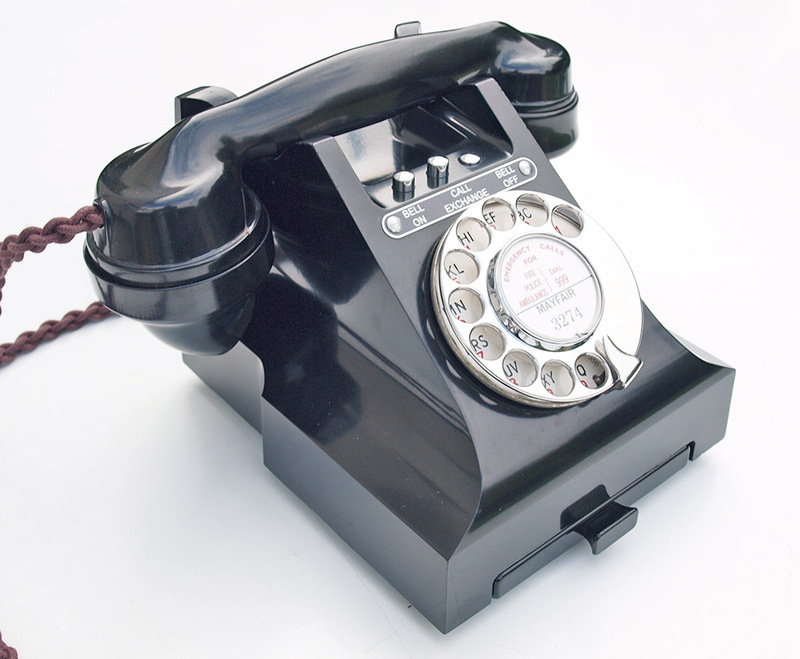 This telephone has been fully converted and set up using a special line simulator to make sure it will work on both copper wire and cable providers. I have tested in our own BT land line to make sure it is working perfectly to both dial out and receive and the bell on bell off functions are correct and working. No modifications have been made to the internal workings other than the addition of a resistor and a set of back to back diodes across the speech to eliminate any acoustic shocks from the switch hooks. This is a superb example and nearly sixty years old and should be good for many more to come. I can make a dial label with your information at no extra charge.